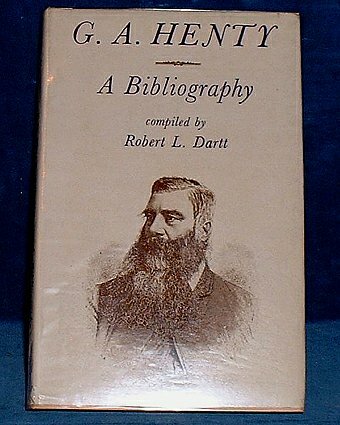 Description: Altrincham/Cedar Grove New Jersey, John Sherratt & Son Ltd/ Dar-Web Inc USA 1971 Plates of Henty books + frontispiece of Henty. . Octavo boards in dust jacket xvii +184pp a few lightly pencilled prices to margins + some leaflets, catalogues and hand written pages laid in on Henty's books/prices etc. From the dispersal sale of a well known children's book collection.